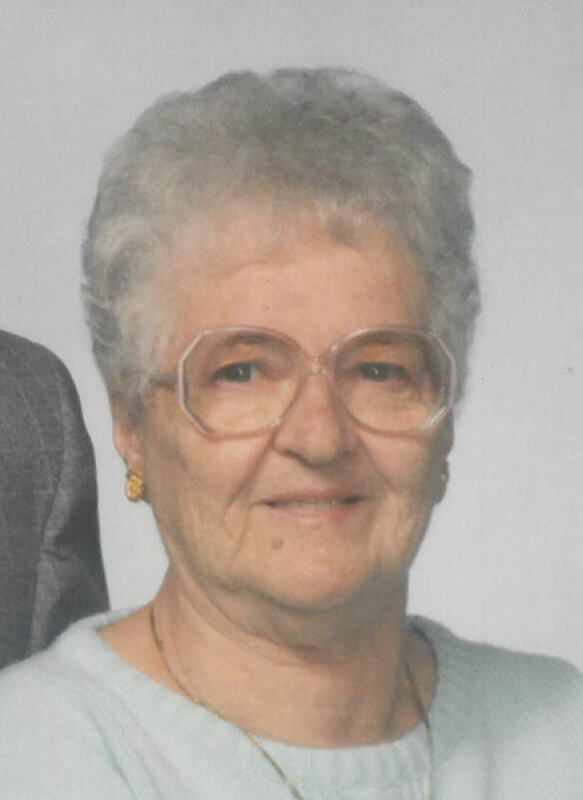 Lillian M. Geb, 96, of Kenosha, died on Monday, February 4, 2019 in her home surrounded by her family. Born in Kenosha on October 23, 1922, she was the daughter of the late Mathias and Seraphine (Korec) Istvanek. On October 17, 1942, she married Charles G. Geb at St. Anthony Catholic Church. They were blessed with four children and 68 years of marriage. Sadly, Charles passed away on August 27, 2010. Over the years Lillian held a variety of jobs- she was a nanny, worked in a candy shop, Simmons and even made parachutes during WWII at Jockey. Along with her husband, she was a proud owner of Gebbies Soda Grill. Her employment continued on at Warwick TV and Stereo Factory; St. Joseph High School Cafeteria and she enjoyed giving out food samples at various local grocery stores. Lillian was a lifelong member of St. Anthony Catholic Church and active with the St. Anthony Rosary Society. She was a member of the Slovak Catholic Sokol Society and a volunteer for Meals on Wheels. She was a talented seamstress who enjoyed gardening and cooking. Lillian cherished spending time with family. Lillian is survived by her children, Ruth Harker, Thomas (Jill) Geb and Nancy (Robert) Schwaiger, ten grandchildren; thirteen great-grandchildren, a sister in law, Jean Istvanek and many nieces and nephews. In addition to her parents and husband, she is preceded in death by a son, Charles Geb, Jr., brother, Rudolph Istvanek, a brother and sister in law, Mathias and Lorraine Istvanek and son in law, Robert Harker, Sr.
Special thanks to the staff of Heartland Hospice for their compassionate care of Lillian.